NEW YORK, N.Y., December 7 -- Pfizer today announced that the U.S. Food and Drug Administration (FDA) has approved QuilliChew ER chewable tablets. 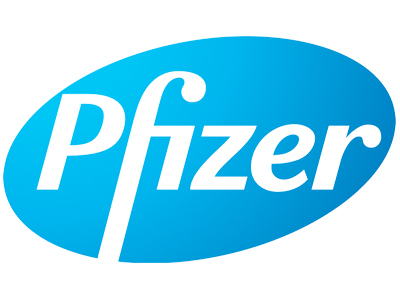 Pfizer now offers two different products for the treatment of ADHD in patients ages 6 years old and above – liquid Quillivant XR® (methylphenidate HCl) CII and new QuilliChew ER chewable tablets. QuilliChew ER is available in multiple dosage strengths with scored tablet options, which enable healthcare professionals to individualize the dose* to meet the specific treatment needs of patients with ADHD. QuilliChew ER is available in 20 mg scored, 30 mg scored and 40 mg unscored tablet options that are chewable and can be taken with or without food. QuilliChew ER is expected to be available in pharmacies in the first quarter of 2016. The recommended starting dose is 20 mg given orally once daily in the morning. Dosage may be increased or decreased weekly in increments of 10 mg, 15 mg, or 20 mg per day. Daily dosage above 60 mg is not recommended. Prior to treating pediatric patients and adults with CNS stimulants, including QuilliChew ER, assess for the presence of cardiac disease (i.e. perform a careful history, family history of sudden death or ventricular arrhythmia, and physical exam). QuilliChew ER is contraindicated in patients known to be hypersensitive to methylphenidate or other components of QuilliChew ER and hypersensitivity reactions such as angioedema and anaphylactic reactions have been reported. QuilliChew ER is also contraindicated during treatment with monoamine oxidase inhibitors (MAOIs), and also within 14 days following discontinuation of treatment with an MAOI because of the risk of hypertensive crisis. "As a physician, it is important to have treatment choices for patients with ADHD and their caregivers. QuilliChew ER extended-release chewable tablets give healthcare providers an additional treatment option to meet their patients' needs," said Ann C. Childress, M.D. Dr. Childress is an internationally-recognized expert in the treatment of adolescent psychiatry. She is Board Certified in psychiatry with a sub-specialty in child and adolescent psychiatry, is the president of the Center for Psychiatry and Behavioral Medicine, Inc., Las Vegas, and is an adjunct faculty member at the University of Nevada School of Medicine. QuilliChew ER significantly improved attention and behavior compared to placebo in a clinical trial. The efficacy of QuilliChew ER was evaluated in a double-blind, randomized, placebo-controlled, parallel group laboratory classroom study in 90 children ages 6 to 12 years old with a diagnosis of ADHD based upon criteria in the DSM-IV. The primary and key secondary efficacy parameters were assessed pre- and post-dose, using the SKAMP✝-Combined score, measured during the laboratory classroom day at 0.75, 2, 4, 8, 10, 12 and 13 hours. The average of treatment effects across all time points was statistically significantly superior to placebo. The key secondary endpoint demonstrated improvement versus placebo in attention and behavior with an onset at 45 minutes through eight-hour duration (measured at 0.75, 2, 4 and 8 hours post-dosing). "Pfizer is pleased to announce that with new QuilliChew ER, and in partnership with Tris Pharma, the developer of ER chewable tablets, we are expanding our offering of ADHD treatments to include extended-release, chewable tablet options," said Sam Azoulay, Senior Vice President, Chief Medical Officer, Global Established Pharma, Pfizer. *Reduce dosage or discontinue therapy if patients exhibit paradoxical aggravation of symptoms or other side effects, or if improvement is not observed after an appropriate dose adjustment over a one-month period. ✝ SKAMP is the Swanson, Kotkin, Agler, M-Flynn, and Pelham (SKAMP) Rating Scale, a validated 13-item teacher-rated scale that assesses manifestations of ADHD in a classroom setting. ADHD is one of the most common neurobehavioral disorders in the U.S. According to the Centers for Disease Control and Prevention's 2011 data, approximately 11% of children ages 4 to 17 years in the U.S. have received a diagnosis of ADHD at any time in their lives, based on parent-reported outcomes. Patients with ADHD suffer from symptoms such as difficulty paying attention, impulsivity and being overly active. The condition can persist into adulthood. Sudden death, stroke and myocardial infarction have occurred in adults treated with CNS stimulants at recommended doses. Sudden death has occurred in pediatric patients with structural cardiac abnormalities and other serious cardiac problems, and in adults taking CNS stimulants at recommended doses for ADHD. Avoid use in patients with known structural cardiac abnormalities, cardiomyopathy, serious cardiac arrhythmias, coronary artery disease, or other serious cardiac problems. Further evaluate patients who develop exertional chest pain, unexplained syncope, or arrhythmias during treatment with Quillivant XR or QuilliChew ER. CNS stimulants cause an increase in blood pressure (mean increase approximately 2-4 mm Hg) and heart rate (mean increase approximately 3-6 bpm). Some individuals may have larger increases. Monitor all patients for hypertension and tachycardia. Based on animal data, use of Quillivant XR or QuilliChew ER during pregnancy may cause fetal harm. Quillivant XR or QuilliChew ER should be used during pregnancy only if the potential benefit justifies the potential risk to the fetus. Nursing mothers should be advised to discontinue drug or discontinue nursing, taking into consideration the importance of the drug to the mother because methylphenidate is present in human milk. DISCLOSURE NOTICE: The information contained in this release is as of December 7, 2015. Pfizer assumes no obligation to update forward-looking statements contained in this release as the result of new information or future events or developments. This release contains forward-looking information about QuilliChew ER™ (methylphenidate hydrochloride) extended-release chewable tablets CII and about an indication for the treatment for attention deficient hyperactivity disorder in patients ages 6 years old and above (the "Indication"), including their potential benefits, that involve substantial risks and uncertainties that could cause actual results to differ materially from those expressed or implied by such statements. Risks and uncertainties include, among other things, the uncertainties regarding the commercial success of QuilliChew ER and the Indication; whether and when drug applications may be filed in any other jurisdictions for the Indication; and competitive developments. A further description of risks and uncertainties can be found in Pfizer's Annual Report on Form 10-K for the fiscal year ended December 31, 2014 and in its subsequent reports on Form 10-Q, including in the sections thereof captioned "Risk Factors" and "Forward-Looking Information and Factors That May Affect Future Results," as well as in its subsequent reports on Form 8-K, all of which are filed with the SEC and available at www.sec.gov and www.pfizer.com.